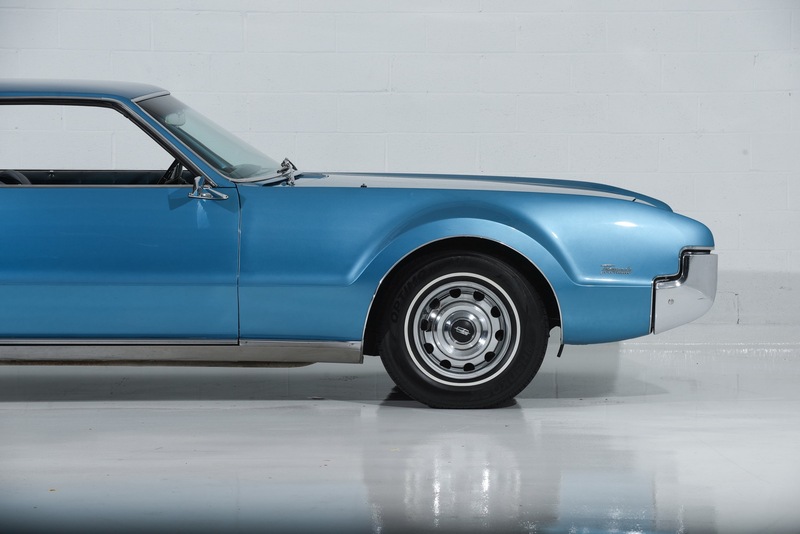 1967 OLDSMOBILE TORONADO for sale. 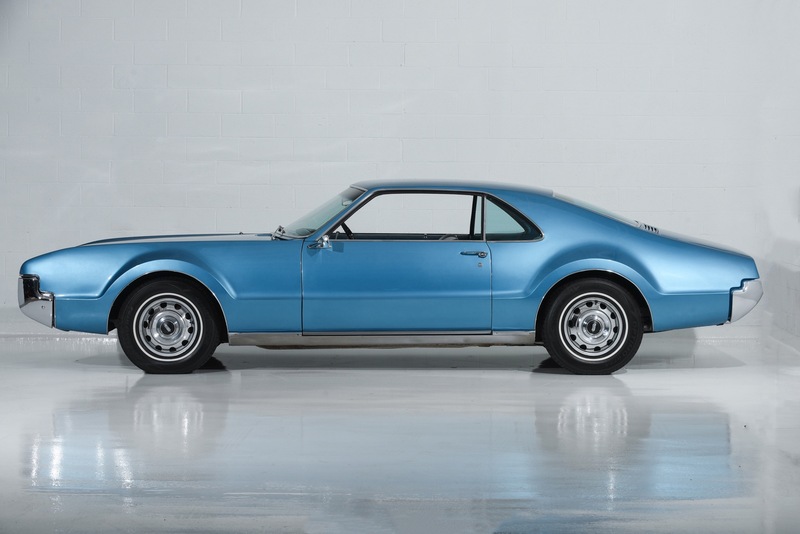 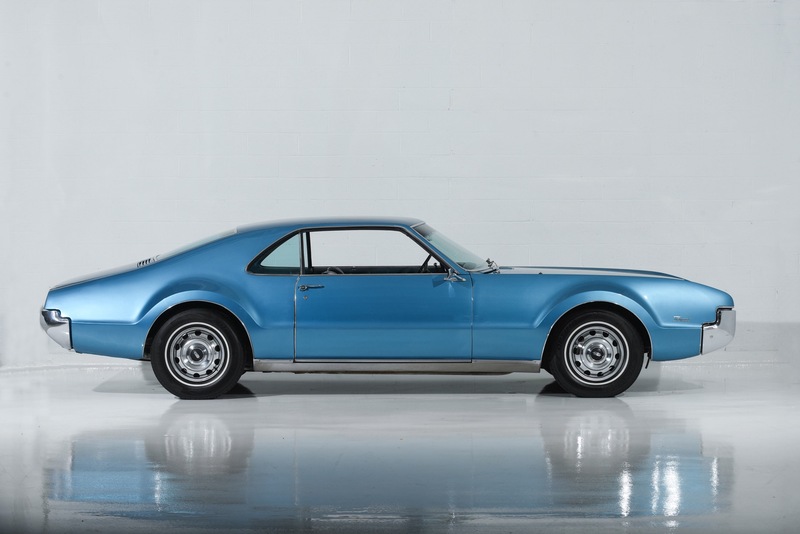 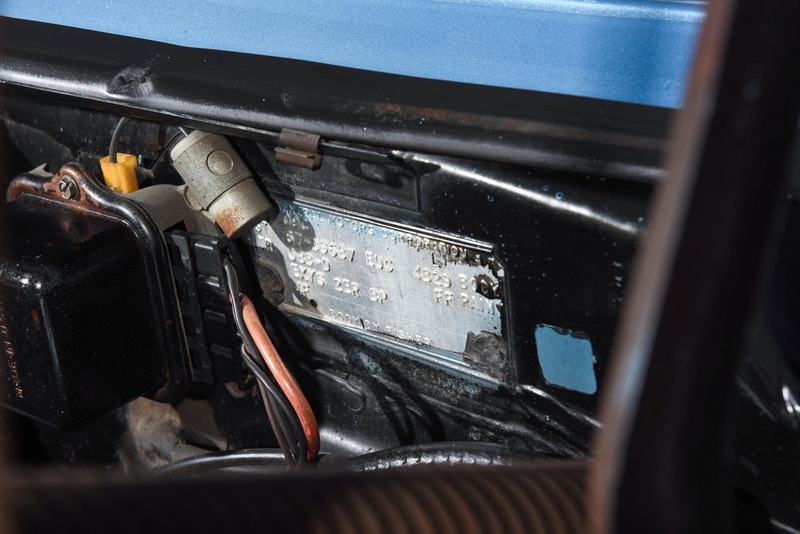 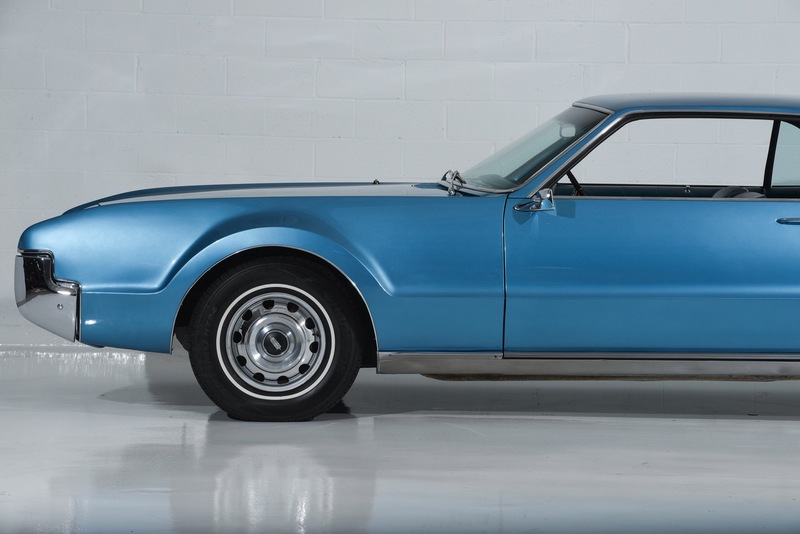 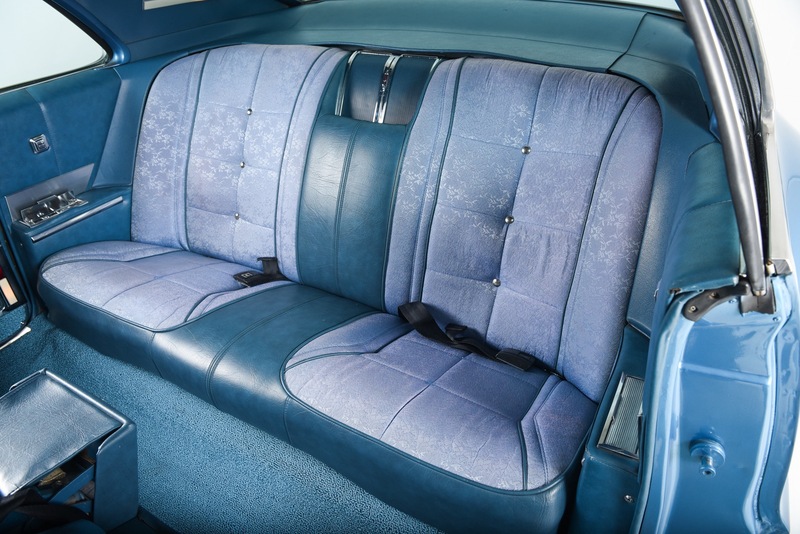 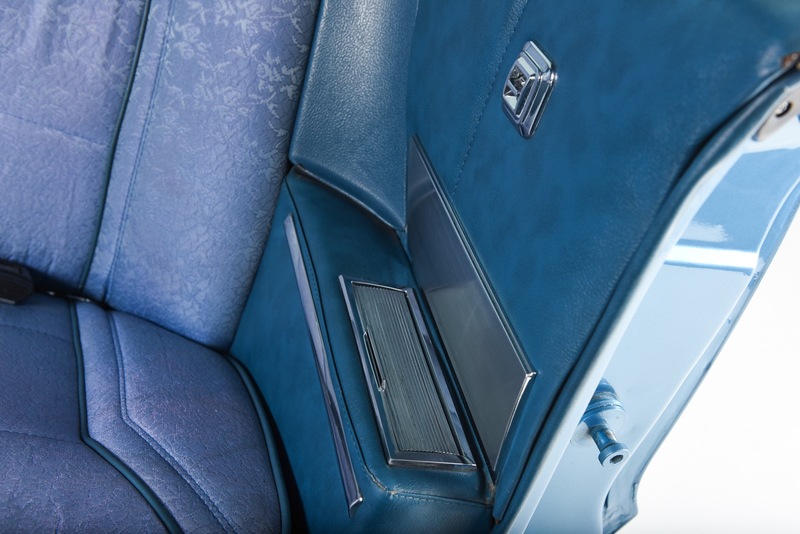 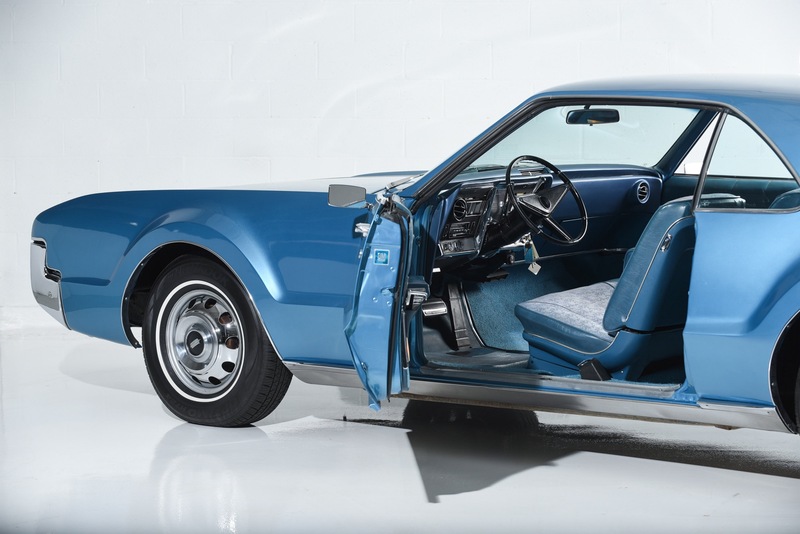 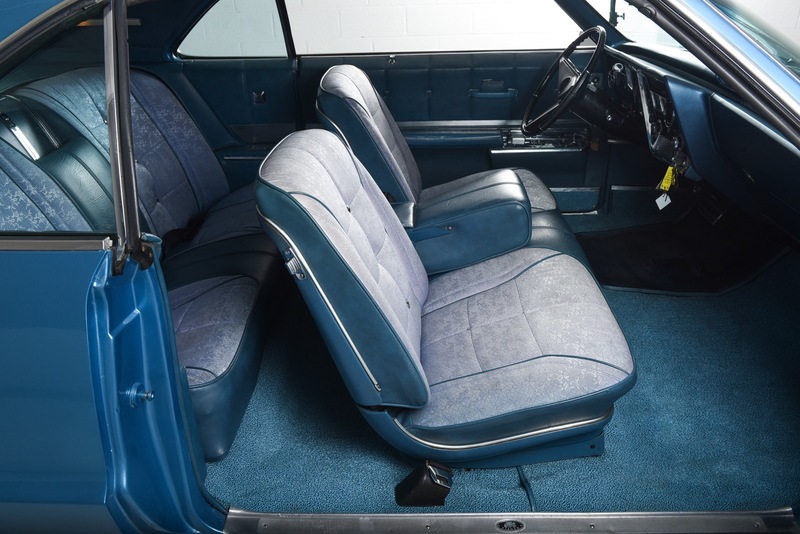 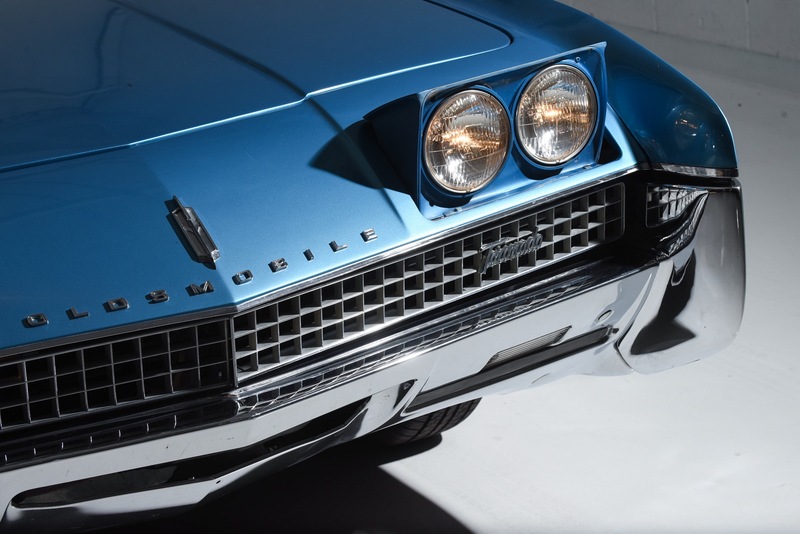 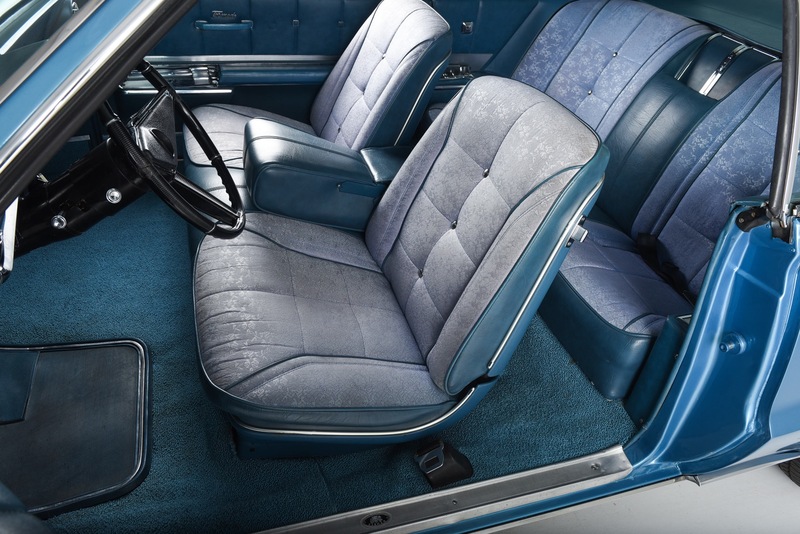 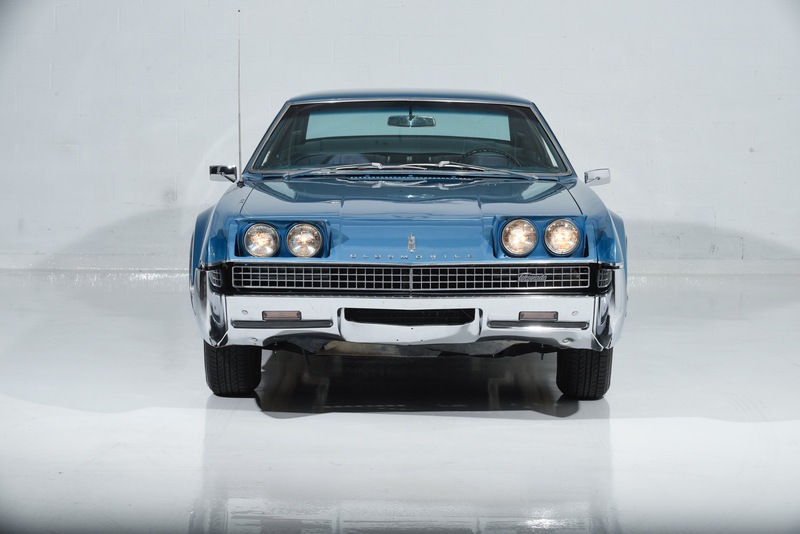 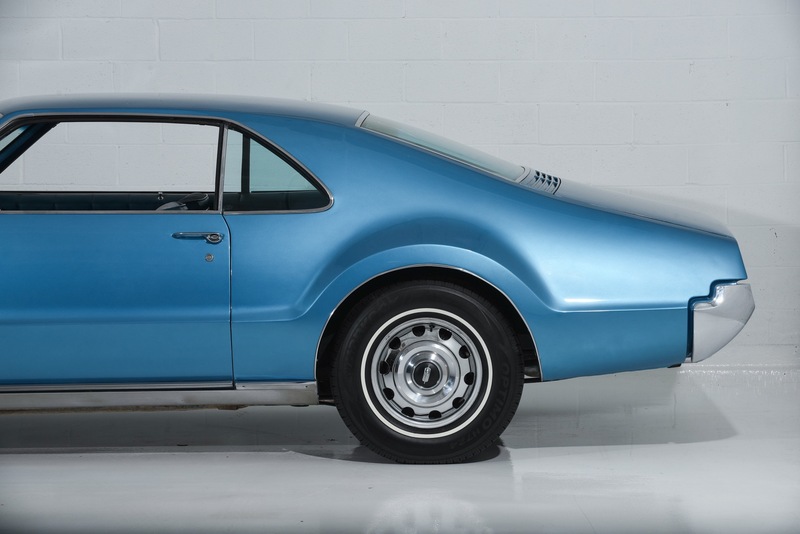 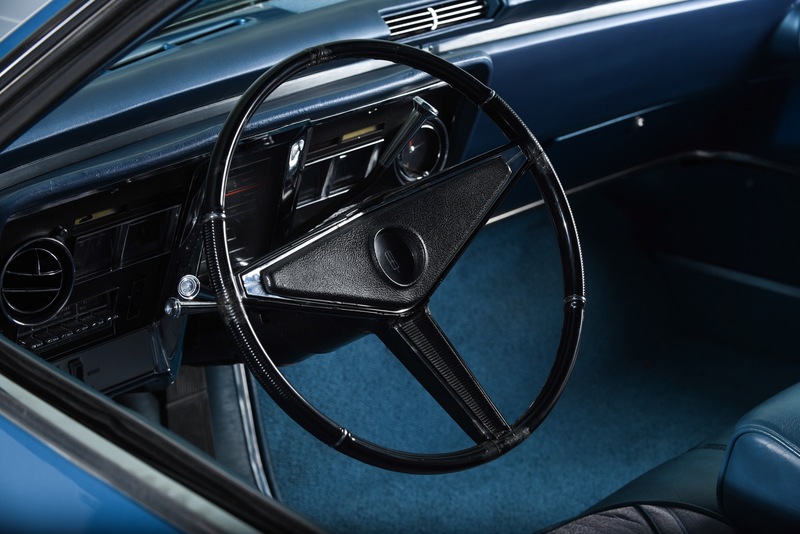 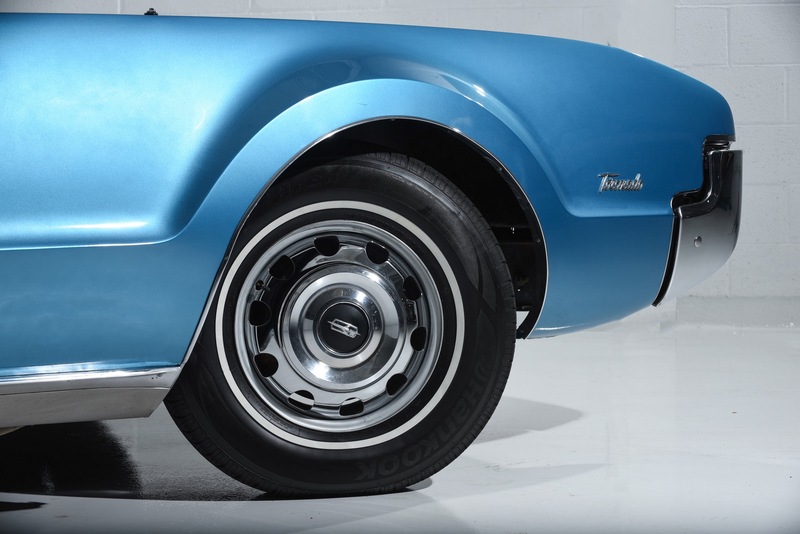 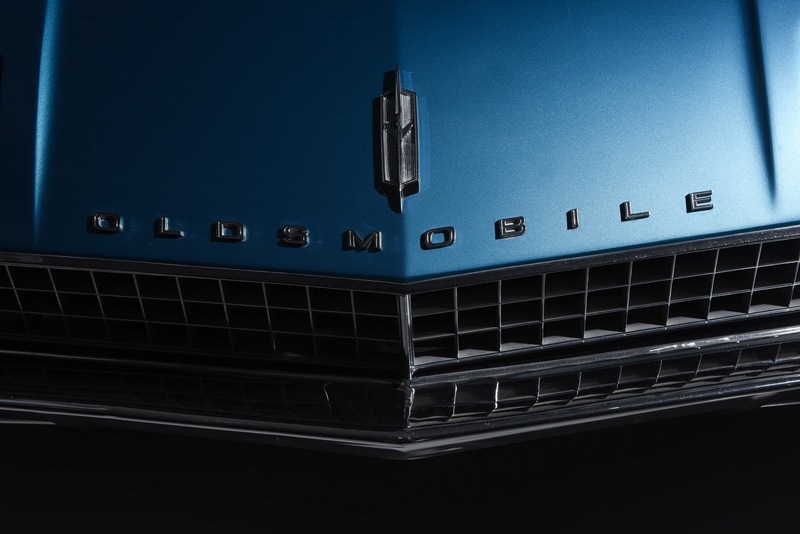 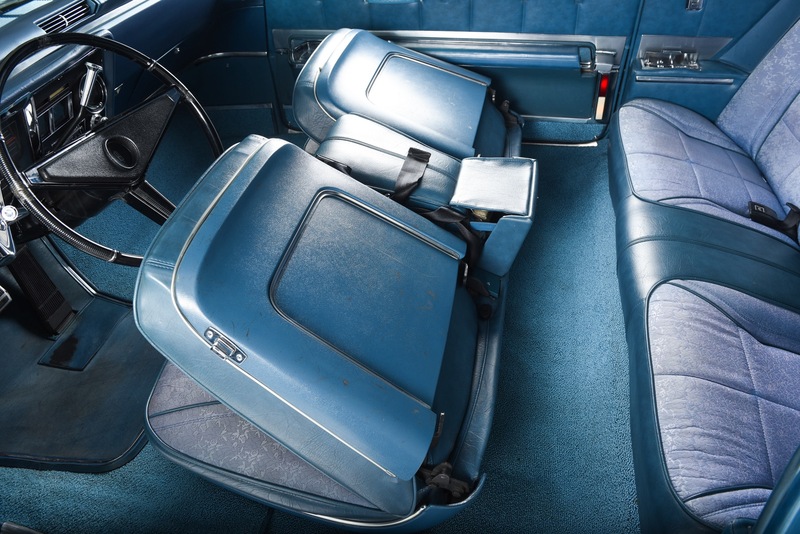 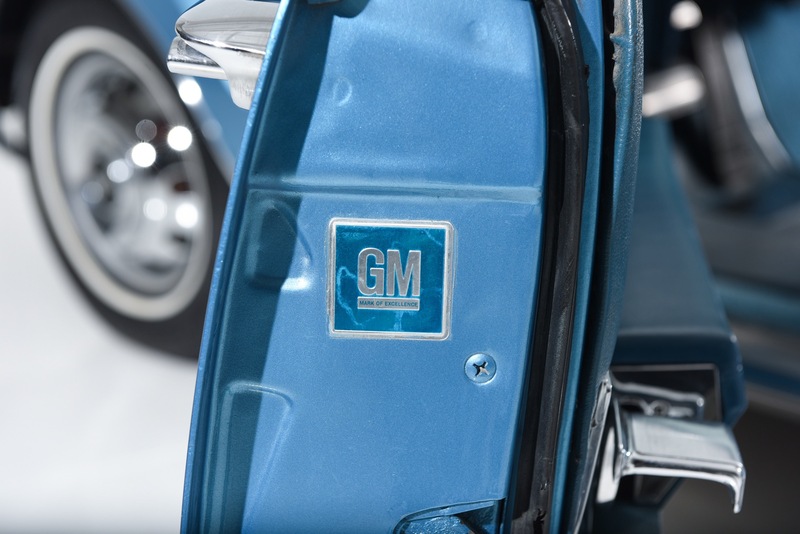 Motorcar Classics is pleased to present this rare Survivor 1967 Oldsmobile Toronado Two-Door hardtop featured in Bimini Blue (Code F) with Bimini Blue Morocceen Vinyl and Pattern Cloth Luxury Deluxe interior with front "Strato-Bucket" seats with folding center armrest. 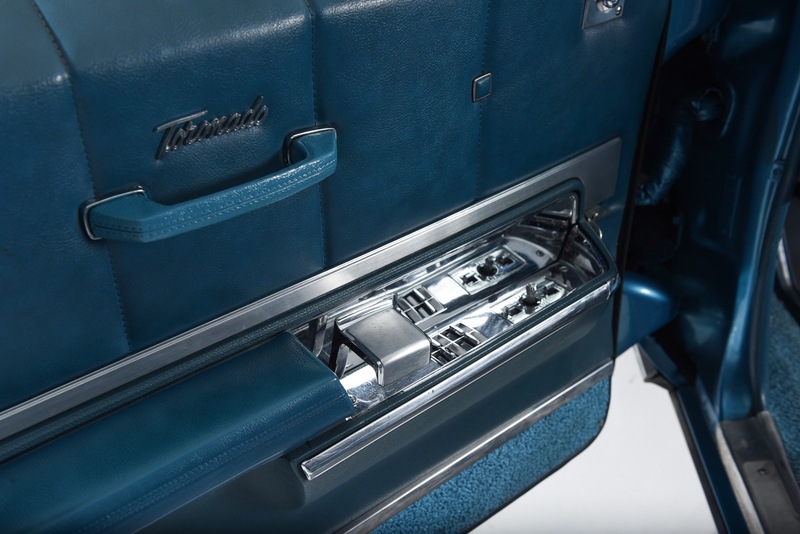 This Toronado Deluxe Hardtop came nicely equipped from the factory including working "Comfortron" AC, power steering, power brakes, power windows, tilt and telescopic steering wheel, 6-way power adjustable front seat, day / night rear view mirror, chrome driver's side rear view remote mirror,heater and defroster, working original Oldsmobile transistor AM radio, factory gauge clusters with 135 MPH scrolling speedometer, OEM front and rear seat belts, back up lights, glove box mounted trunk lid release, and hide-away headlights. 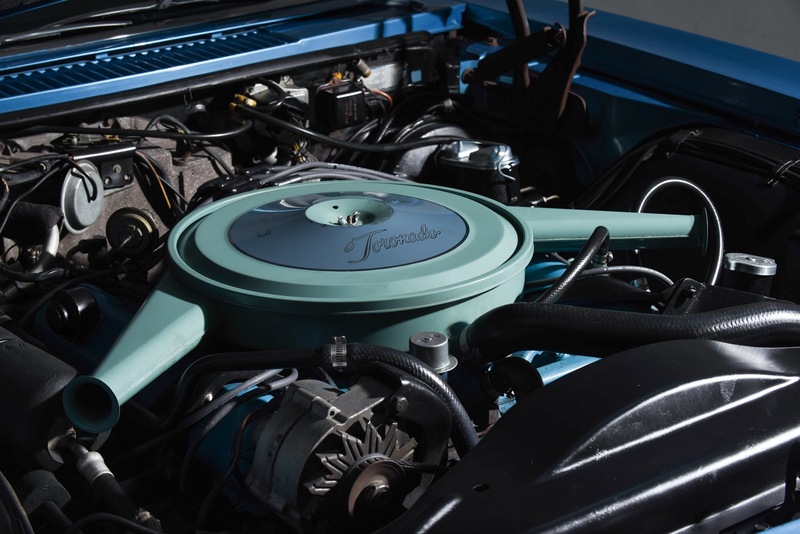 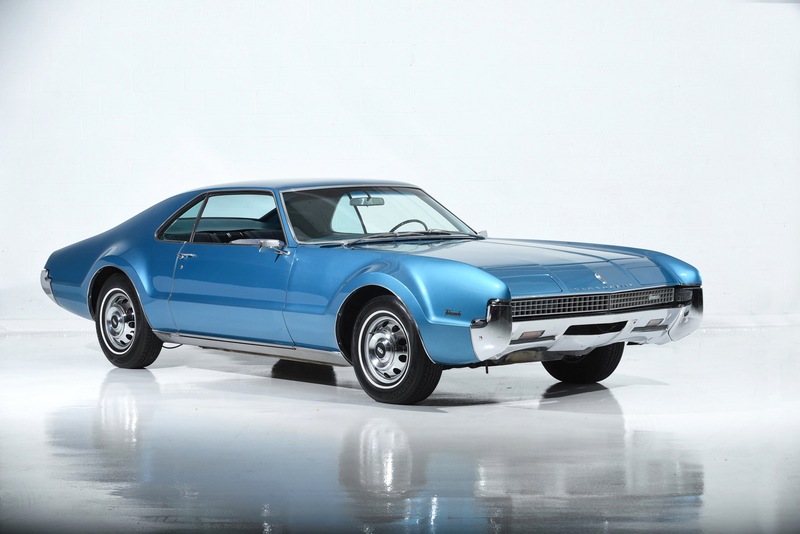 This Toronado is powered by Oldsmobiles Code "RT" 325 CI, 385HP "Rocket V8" motor with the original 4-barrel intake manifold, exhaust manifolds, valve covers, "Dual Snorkel" air cleaner housing and the original Rochester 4-barrel carburetor. 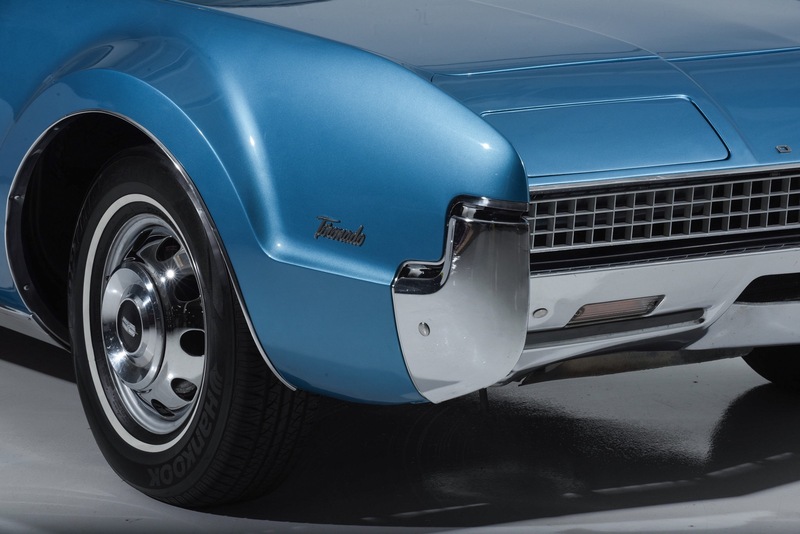 It sounds great too through the factory style dual exhaust system with dual chrome tips. 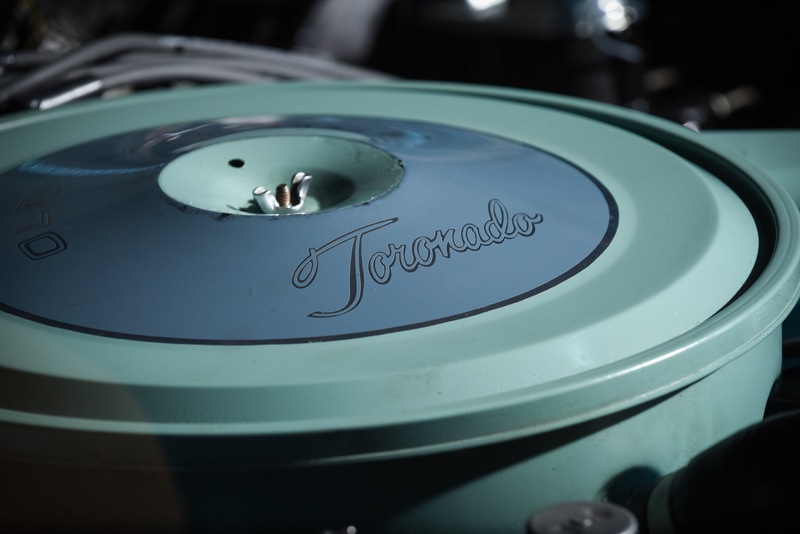 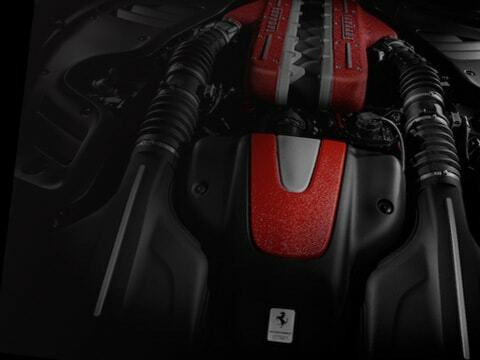 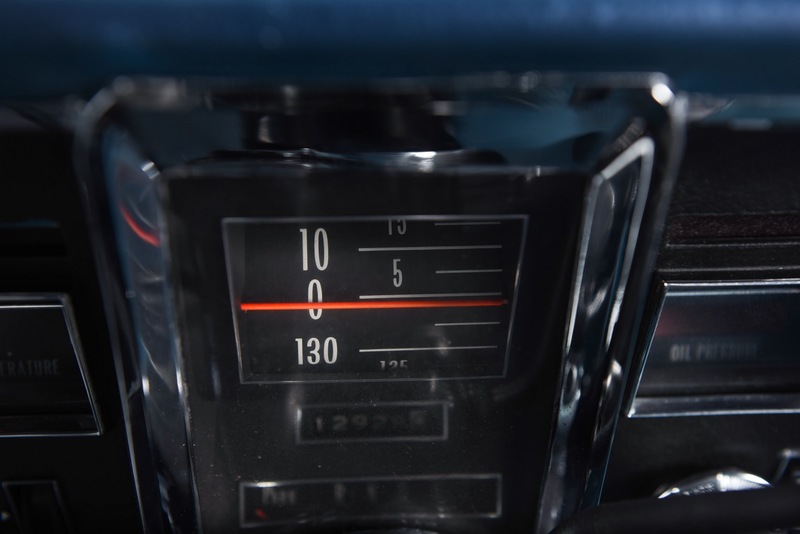 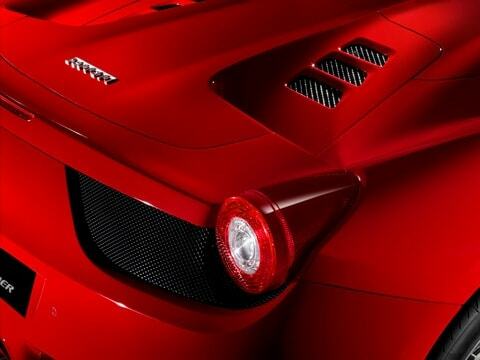 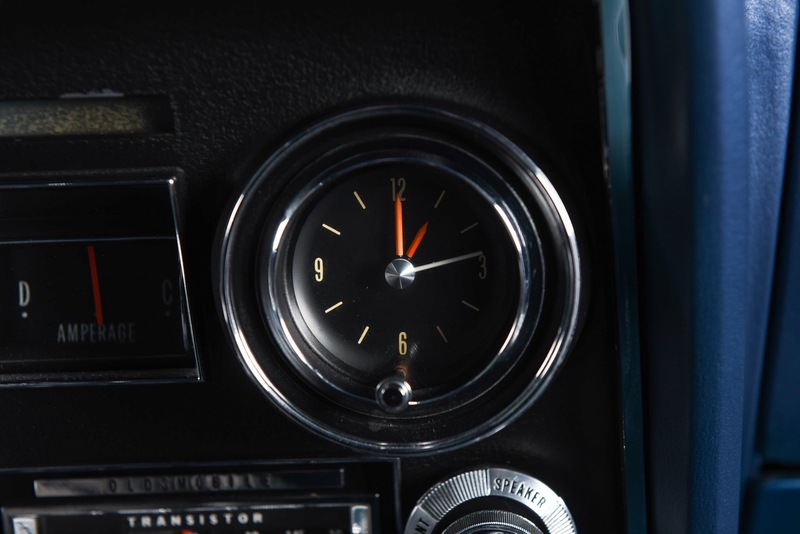 The engine is backed by a smooth-shifting three-speed "THM-425" Turbo Hydra-Matic automatic transmission. 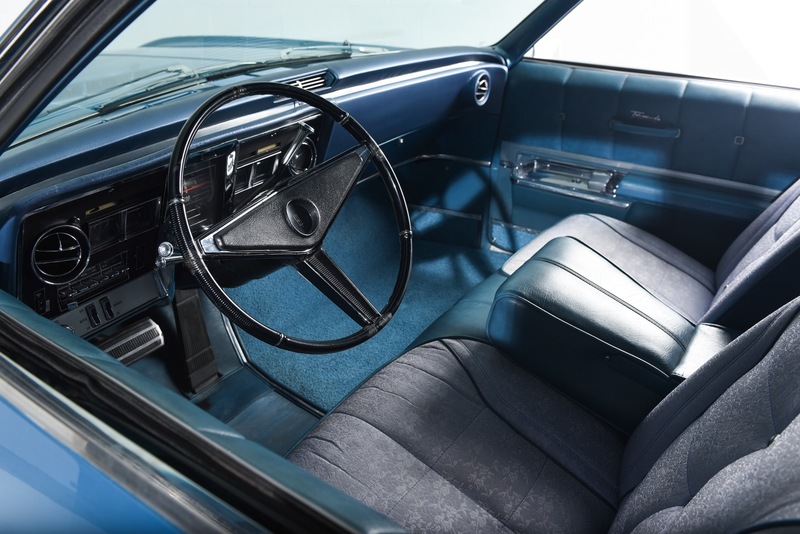 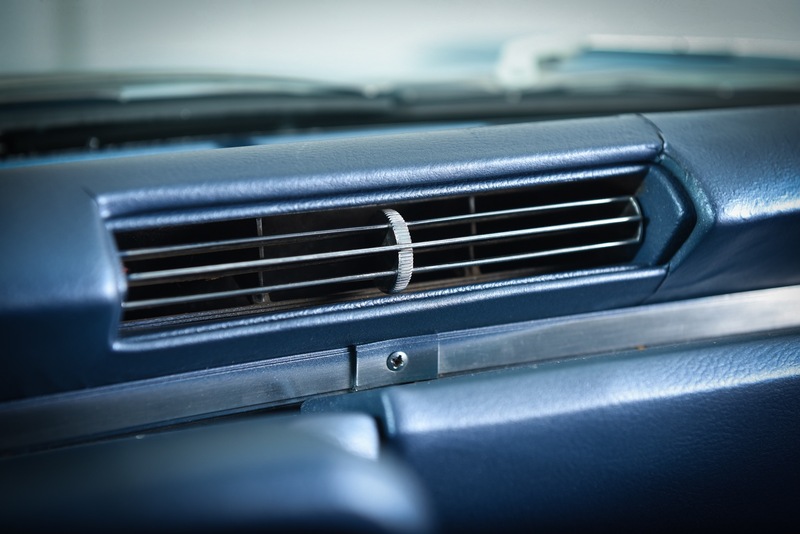 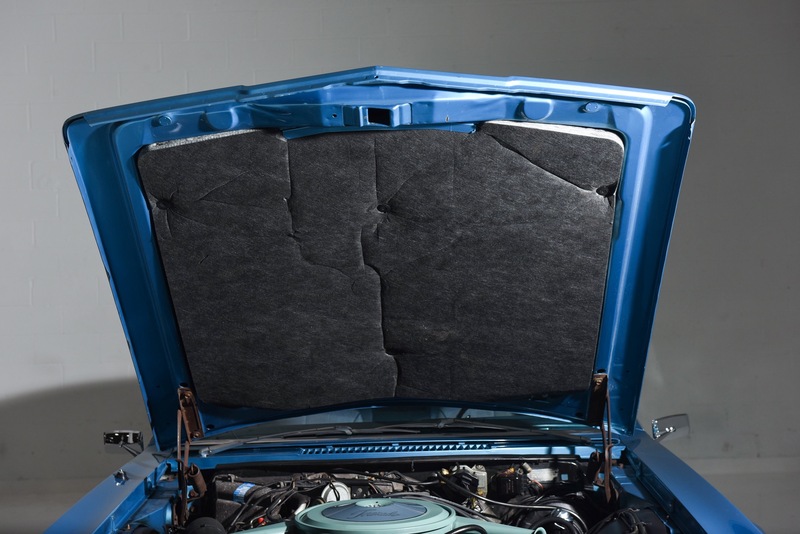 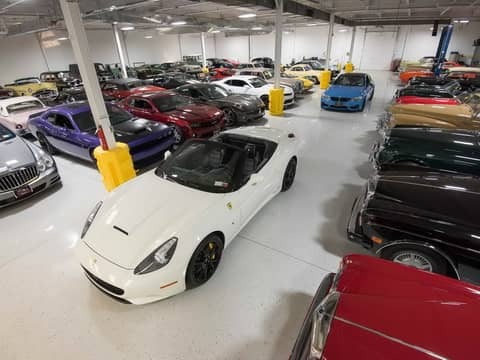 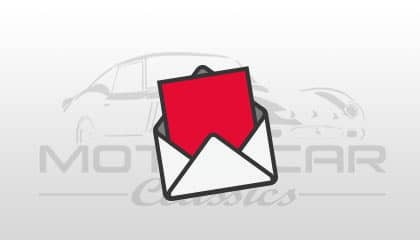 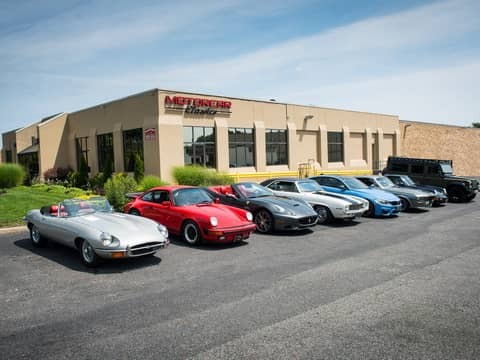 The car is straight and sound with a condition that we would characterize as a well-maintained, largely original, high-level driver. 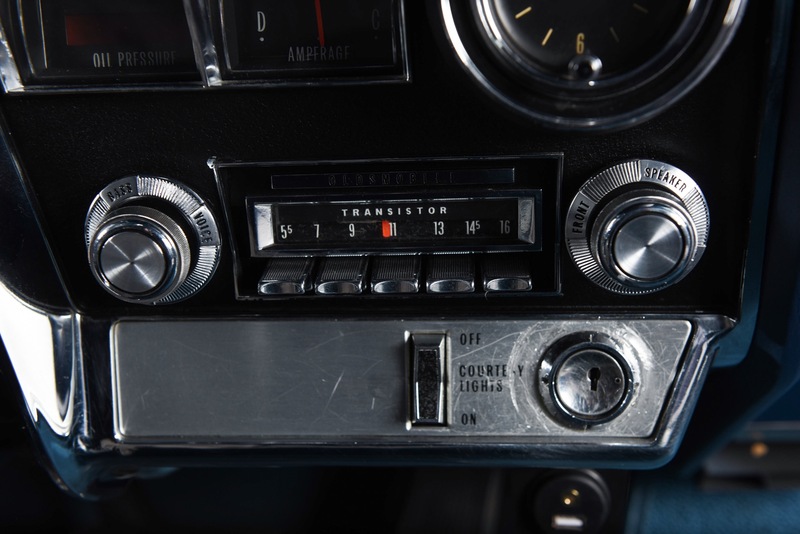 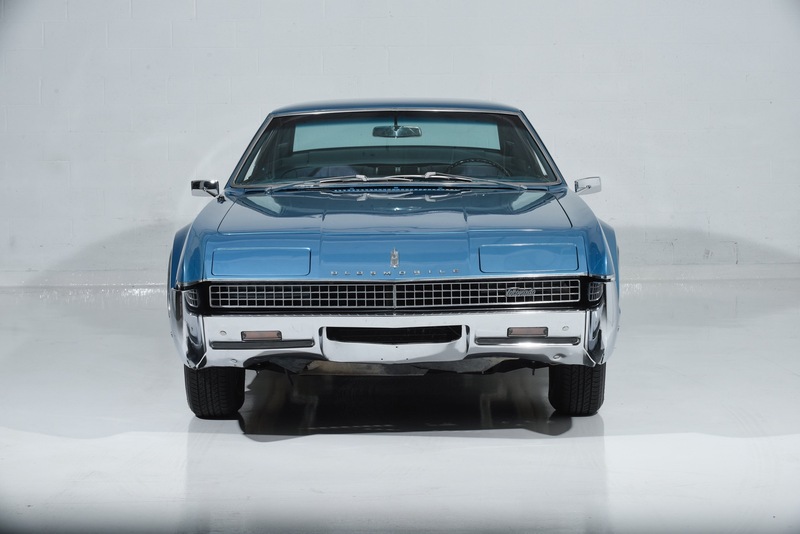 It is reported that the car came from two prior owners in the dry Montana/Idaho high mountain desert area which has likely helped in preserving the original materials. 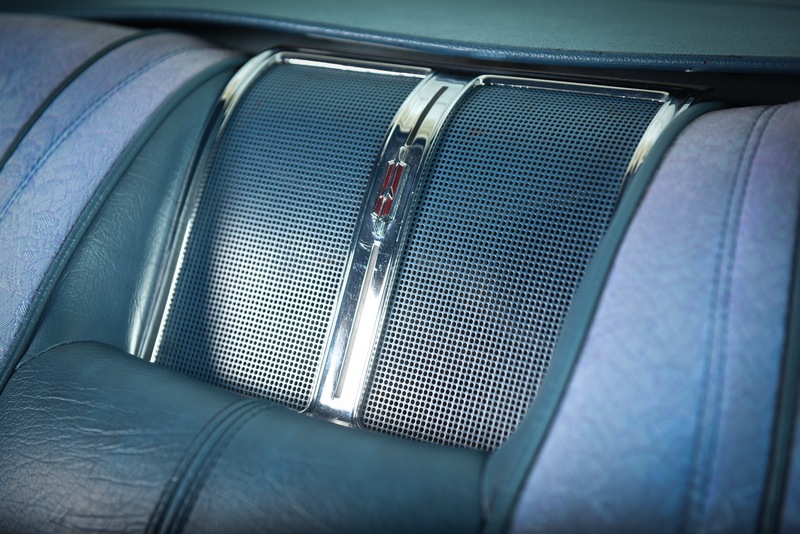 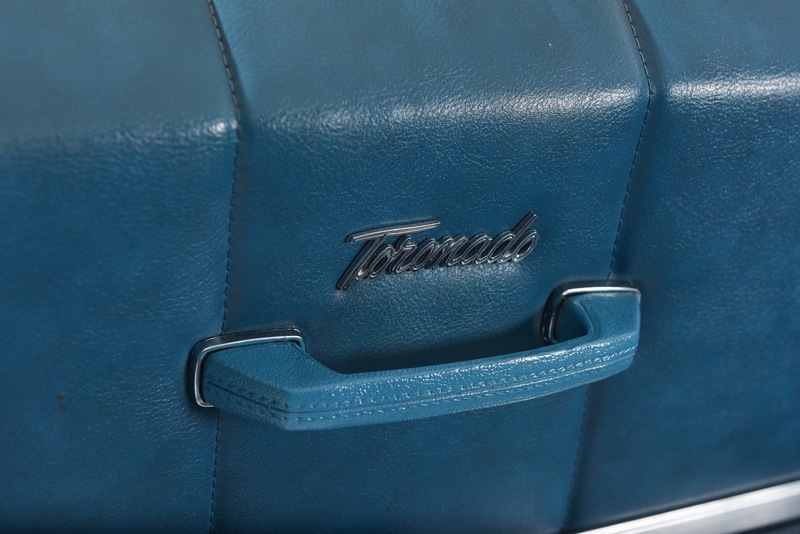 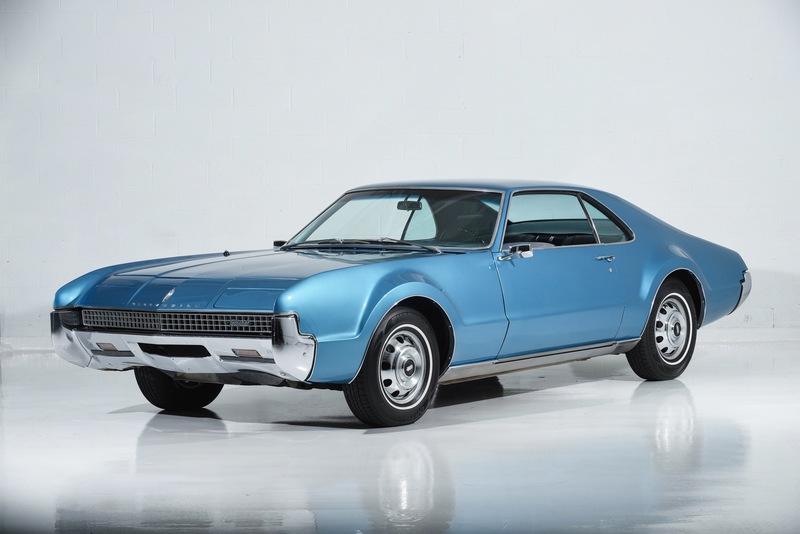 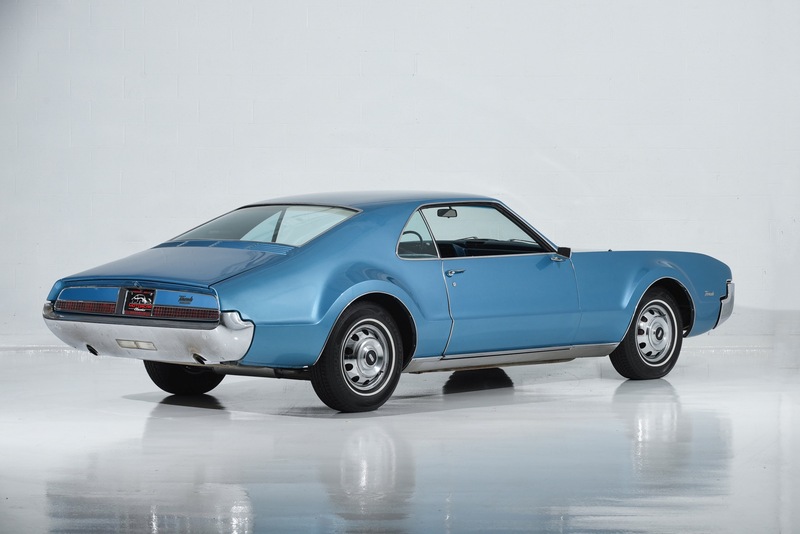 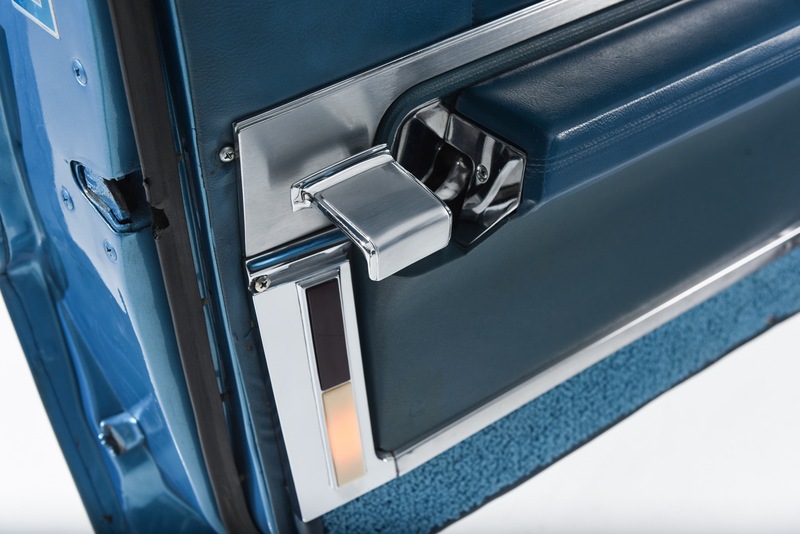 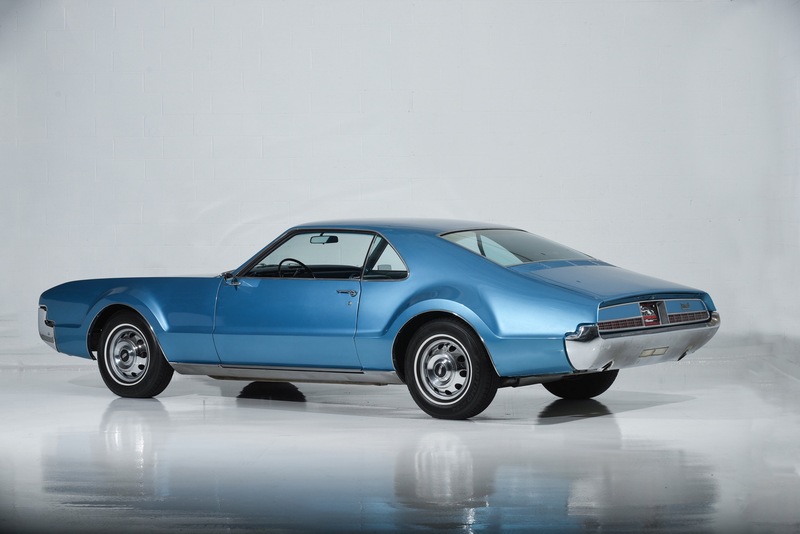 The Toronado personal luxury coupe was a breakthrough design from Oldsmobile when it was introduced in 1966 as the first front-wheel drive American car since the Gordon Beuhrig designed Cord of 1936-37. 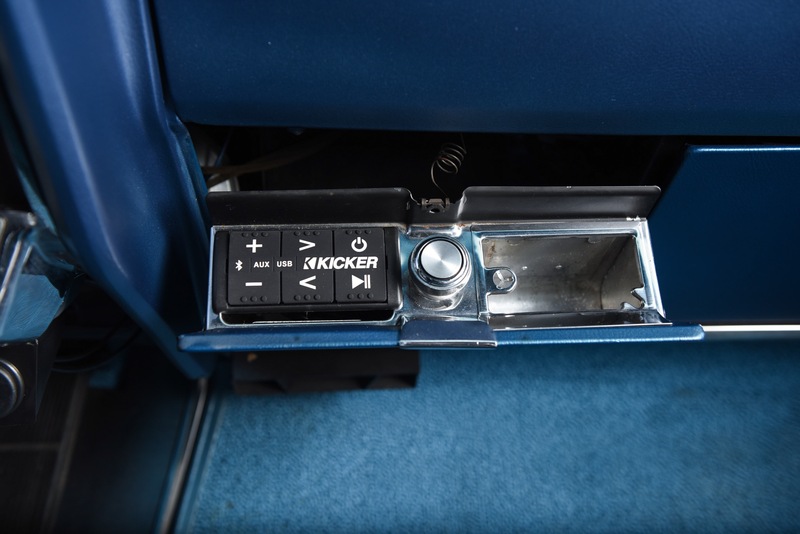 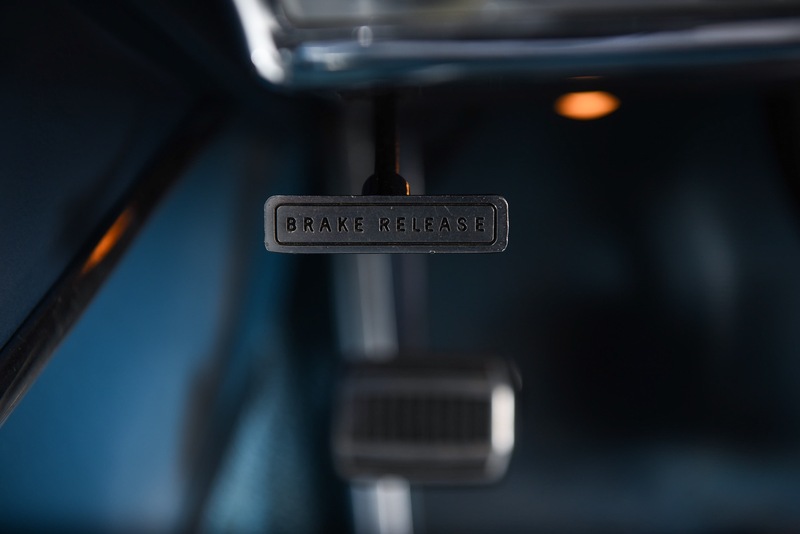 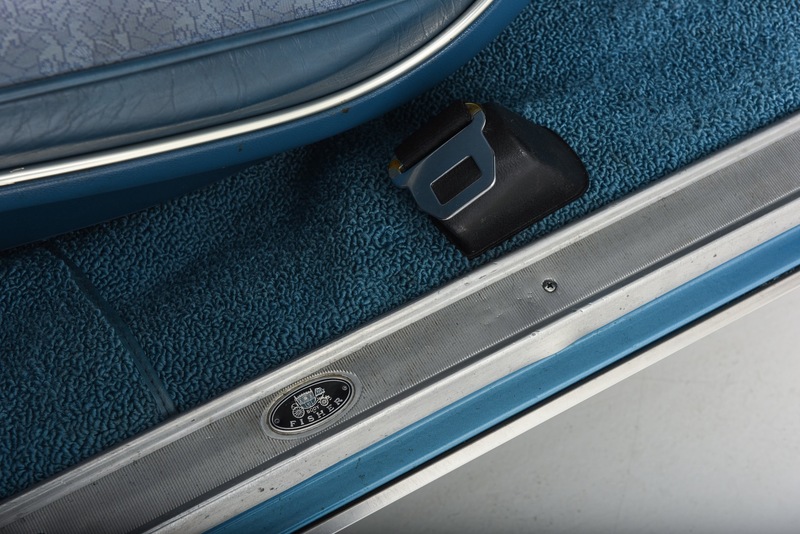 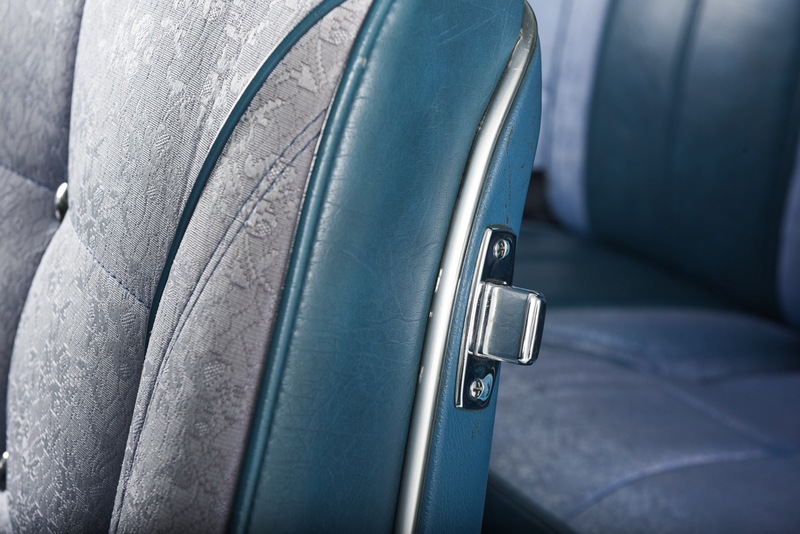 One is immediately impressed by the broad, flat floors in the passenger compartment made possible by the drivetrain being entirely over the front wheels. 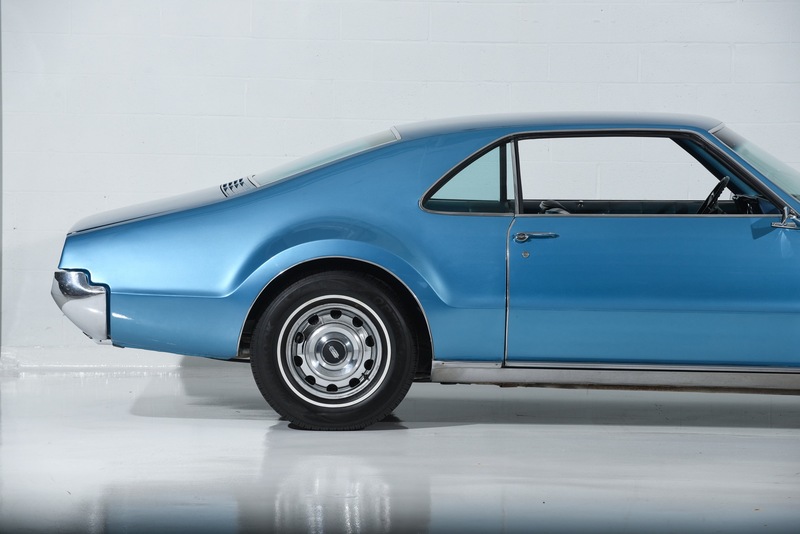 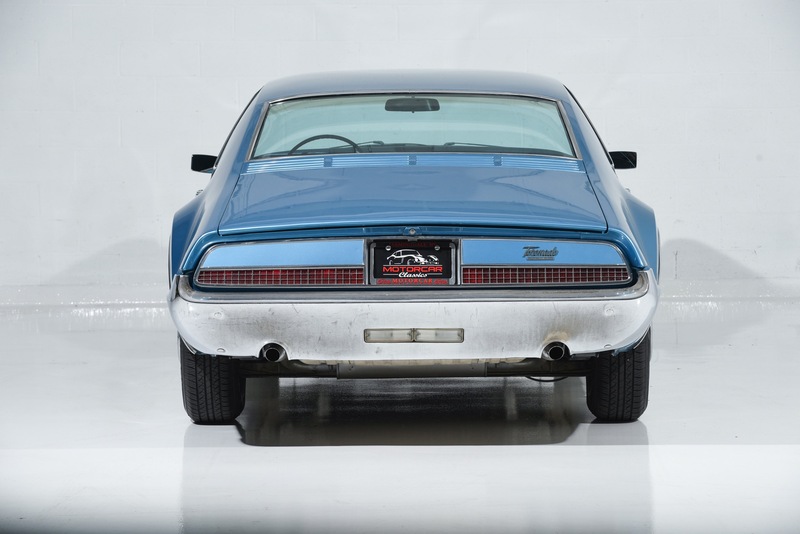 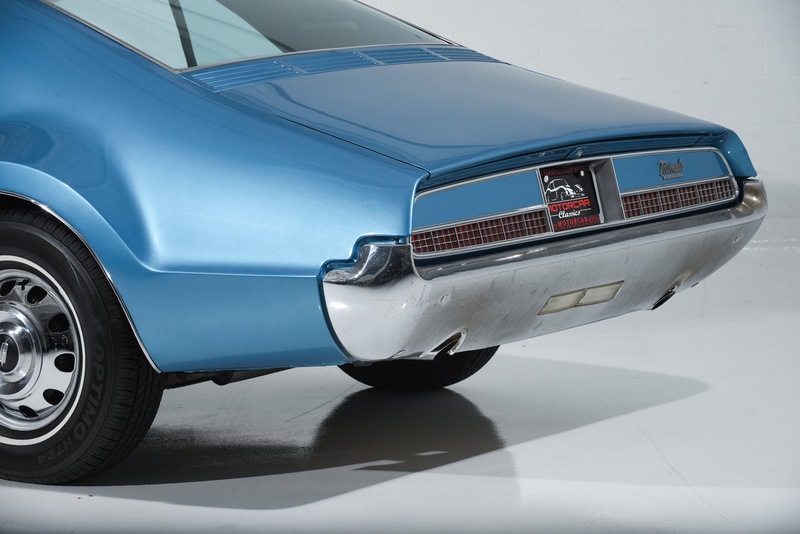 This 1967 Toronado is an example of Americas best in both design and engineering.